Sonic Jump Fever: Silver joins the jumping! Sonic Jump Fever celebrates Christmas early this year. 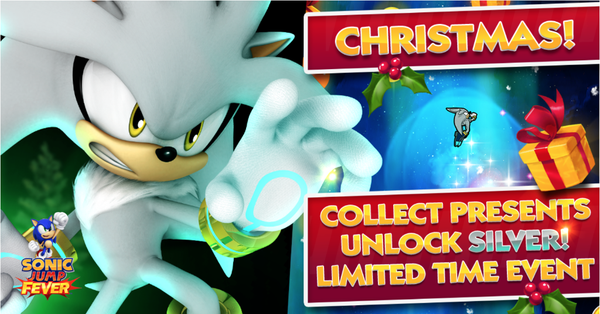 By collecting 400 presents scattered throughout the game, you unlock Silver the Hedgehog! 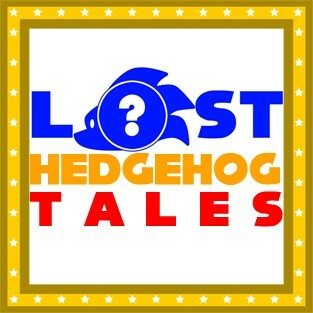 Unfortunately Sega has not provided us with a deadline, but do remember that this is a Limited Time Event! So start jumping, and collect our silvery hedgehog! You can download Sonic Jump Fever on both Apple and Android Mobile devices. If you're not familiar with the app stores, you can also click one of the links below! 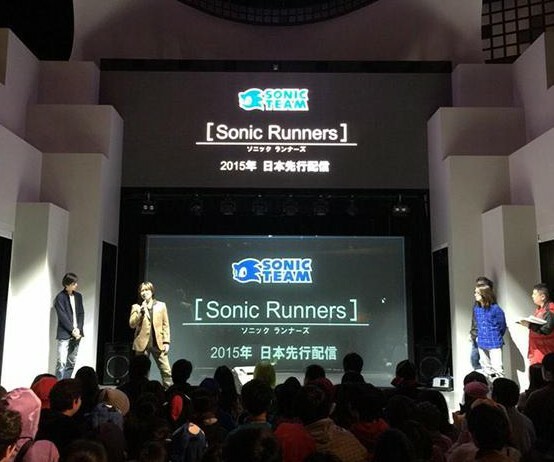 The last day of Tokyo Game Show 2014 SEGA held a live stream of Sonic Boom (known as Sonic Toon in Japan). They showed a few new cutscenes and Wii U/3DS gameplay video with the commentary of Takashi Iizuka. You can view the recoding below. Also you can see the separate videos of Wii U and 3DS versions' gameplay in the full story. Several of SEGA's games for the Android are being sold as a Humble Bundle . The games include Android versions of Sonic 4 Episodes I and II, plus Sonic & SEGA All-Stars Racing , along with some other SEGA games such as ChuChu Rocket! , Virtua Tennis Challenge , and Crazy Taxi . As is traditional with Humble Bundles, more games are coming (usually after the first week). The bundle is pay-what-you-want for Sonic 4 Episode I , ChuChu Rocket! , and Virtua Tennis Challenge , but if you beat the average purchase, you will get the other games, including the extras that will be added later. All of the games are DRM-free, and every purchase supports the Child's Play, WaterAid, and UNICEF charities (you get to decide how to split the money between Humble Bundle, the developers, and the three charities). The bundle will end on September 3rd at 11:00 AM PST. Last week, IGN had exclusive access to a new reveal regarding Sonic Boom. Many news regarding this trademark has been going around already, including a Cartoon and two games. These media will be joined by comics, made by our buddies Archie Comics! The series will be written by Ian Flynn, and the art will be done by Even Stanley. 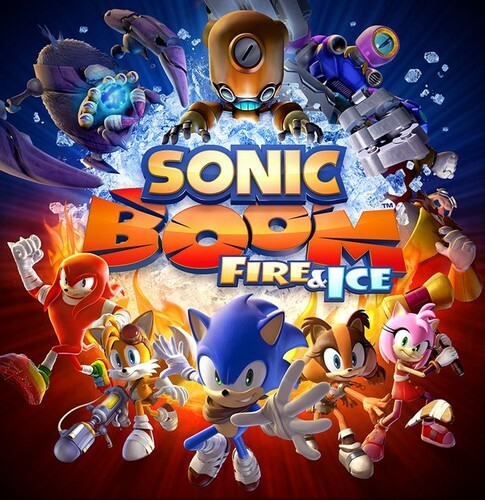 Sonic Boom will be a completely original spin-off series, similar to Sonic Universe. As far as known, these comics will not influence the main storyline from the Archie Comics. Flynn had also promised us that they will reveal more info at the San Diego Comic Con, which will happen next week.